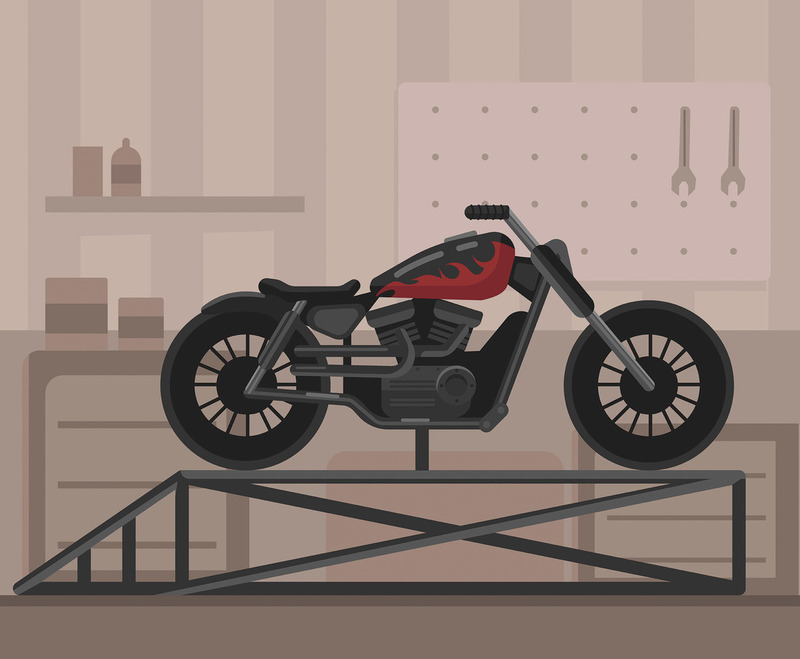 This illustration depicts a black-and-red Harley-Davidson motorcycle in a garage. I hope it's useful for your design projects. Enjoy!